Enjoy refreshing beverages such as a soda or bottled water. 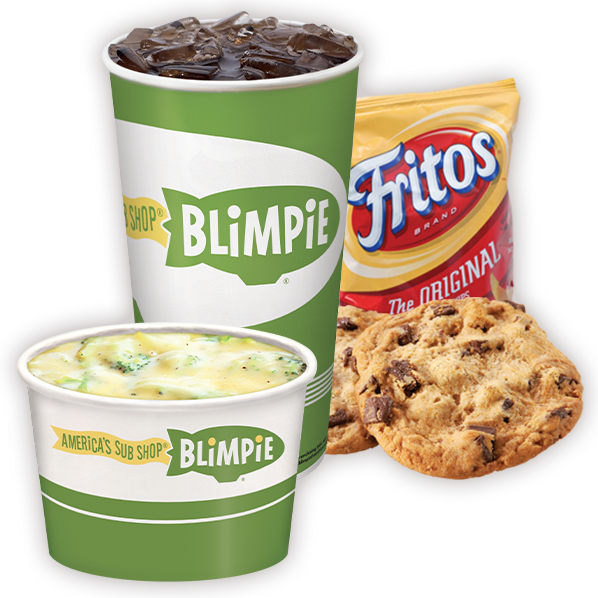 Blimpie also serves chips and gourmet cookies to complete the perfect meal. We are famous for our subs but our soup is a close second. Please contact your store directly for today’s soup selections.